Established in 2010 in the former Mansfield Town Hall, preciously a United Congregational Church) was established for the preservation of items from the Mansfield area that have historical significance in the early settlement of Cattaraugus County. The Mansfield Area Historical Society meets on the first Monday, April through October of each year at the Mansfield Town Hall located at 7691 Toad Hollow Road, Little Valley New York. Membership is open to anyone willing to participate, support, and contribute to the purpose of the Society. Dues are $5 per year, with active membership requiring attendance to a minimum of tow meetings per year. 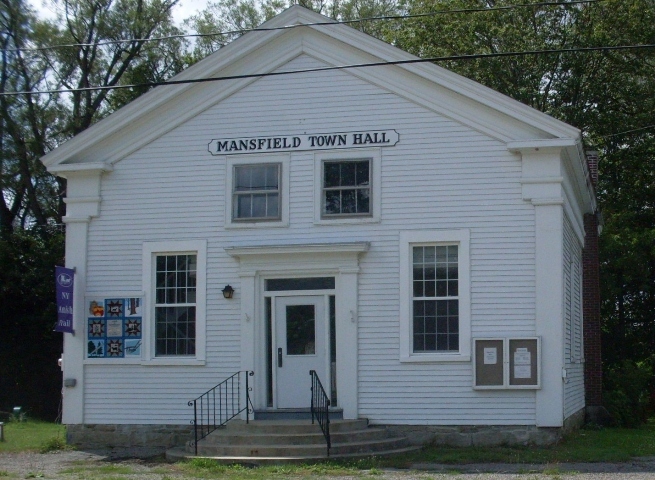 The purpose of the Histocial Society is to preserve the historical records and artifacts of residents of the Town of Mansfield for the local community, interested visitors, and future generations. The museum is open by appointment. Please contact the Mansfield Historical Society President, Emily Salim. Call 716-474-6104. Follow them on Facebook!